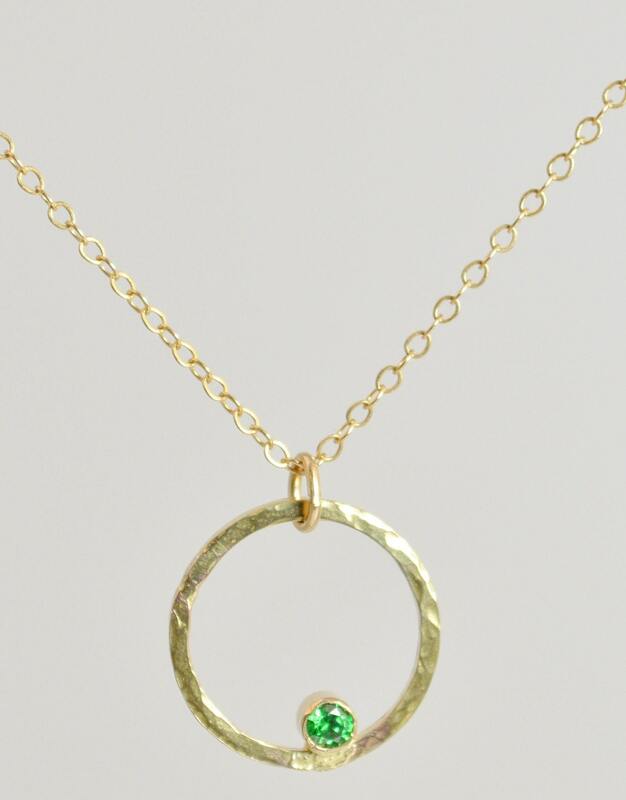 Minimal Rustic Necklace with a flash of sparkle & color. We completely fabricate the pendant in our studio. The 14k gold filled circle is hammered for interest. 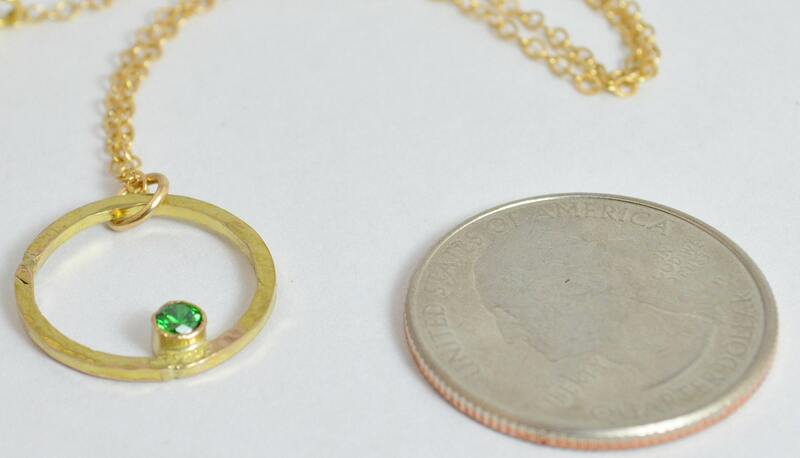 The 3mm Emerald is tube set and nestled inside the circle. 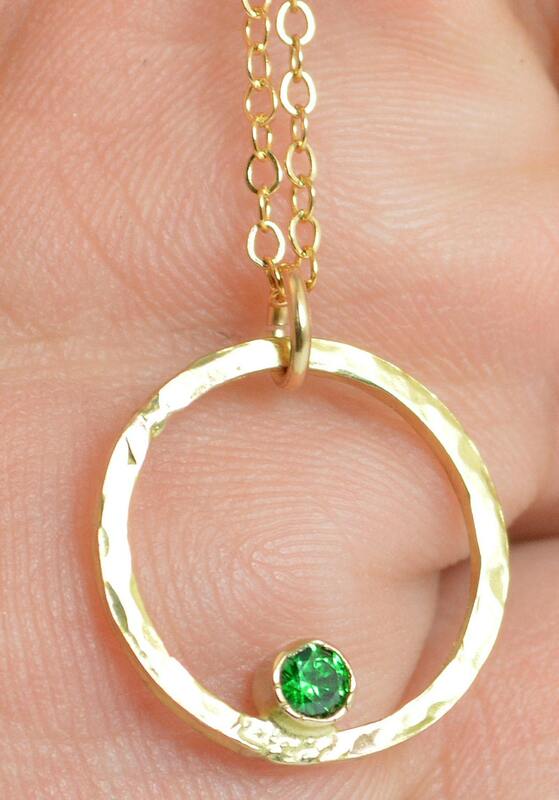 You can choose to add up to two more birthstones to this pendant for the perfect gift for mom, sister, aunt, grandma. - High quality 14k Gold filled Chain made to your size 16-20".